Stoneware bottle. Height about 7". 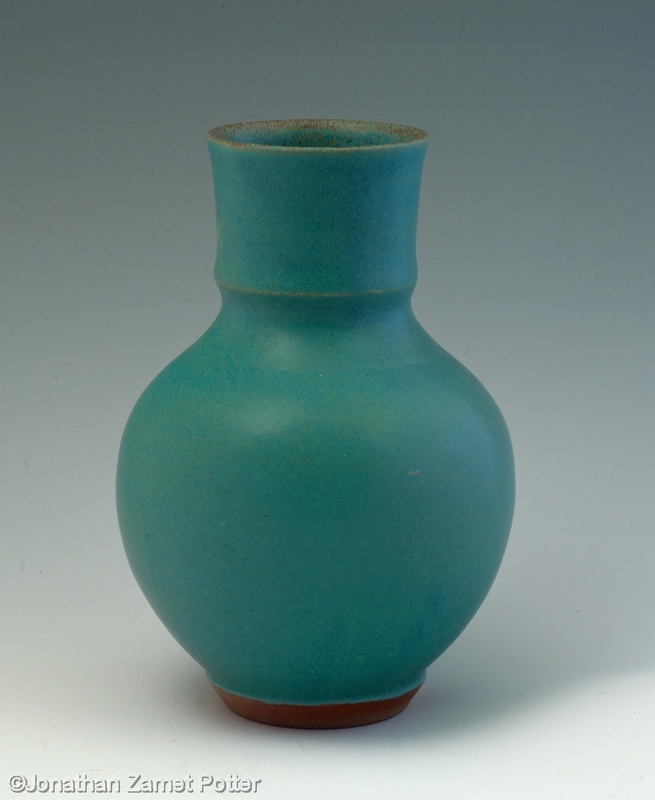 Turquoise glaze. Made in two parts: base thrown and foot turned and then the neck added. I have made quite a few of these pots but this one has always stood out. The parts seem to hang together so well. Somewhat sorry I sold it!